PRICE REDUCED - MUST BE SOLD NOW! This beautifully constructed, one-year-young home should not be missed! It is positioned within an ideal family location in the Glass House Mountains. Located in a quiet, peaceful family friendly estate within walking distance to the local primary school, train station, shops and even the iconic bush walk/hike of Mount Ngungun. This large modern home is perfect for a family having 2 separate living areas, open plan living, large fully fenced low maintenance yard, tool shed, extra storage in multiple areas and double gated side access for all the toys. - Stone bench tops and stainless steel appliances. -	Reverse cycle air conditioning. -	Quality fixtures and fittings. -	Master bedroom with ensuite, dual shower heads and a large walk-in robe. - Shutter blinds and ceiling fans throughout. -	Elevated block allowing spectacular views of the Glass House Mountains. - Enormous double garage with additional storage space to add a work shop bench. -	Security screen, tinted with locks. - Centrally placed outdoor entertaining area. -	650m2 Low maintenance yard. -	Fully fenced - double sided gate. 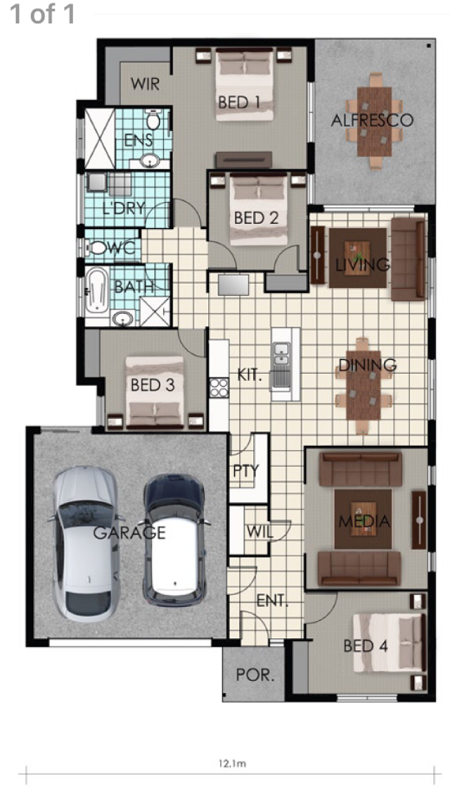 -	Four spacious bedrooms all with built in robes. -	Concrete pathways around the home, with a quaint path to the clothesline. -	Perfect location, minutes from local schools, train station and shops. -	Plenty of additional storage. So what captures your interest the most? The Large kitchen, outdoor entertaining area or the new modern design? For me, it's having no neighbour across the road allowing you to have an outstanding view alongside with all the tracks that the Glass House village has to offer. This home won't be around for long, so make sure you book in an inspection NOW before you miss your hands on this opportunity! This property is located off Poole Road, Glasshouse Mountains. If you have any troubles finding your new home feel free to call Jordan McIntosh on 0457 606 680.